A majority of cancer treatments fall broadly into three categories: surgery, chemotherapy, and radiation. There are other forms of treatment like hormonal therapy, phototherapy, cryotherapy, etc., but these tend to be less frequently administered. The utility, safety, and appropriateness of each approach varies depending on the type of cancer and how advanced the cancer is. In early stage cancers, where the disease is localized, surgery to remove the tumor can prove effective. Often, this is followed up with focused radiation therapy. Any cancer that has metastasized (later stage cancers) or is not localized (for instance, as in blood-borne cancers) tends to require chemotherapy to address the disease systemically. Broadly speaking, chemotherapies are either cytotoxic or targeted. Cytotoxic therapies are simply the poisoning of the cancer cells. 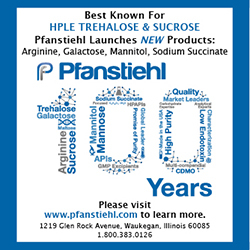 Cytotoxic treatments would be ideal if they only poisoned the harmful cells, but healthy tissue is always at risk. In a sense, the physician is trying to kill the cancer with a poison before the cancer or the poison can kill the patient. Targeted therapies offer an alternative because, as their name suggests, they are targeting the cancerous cells in a region of the body rather than the entire region itself. Targeted cancer therapies rely either on small molecules or on monoclonal antibodies [mAb]. The difference is one of size, and therefore, that part of the cells they target. Small-molecule compounds are best suited to attacking targets located inside the cell because such agents are able to enter cells relatively easily. Monoclonal antibodies are relatively big compared to small molecules, and therefore, they are used to attack targets outside the cells or on the surface of the cells. Furthermore, mAbs can also block growth signals and thus impede the growth of new cancerous cells. For instance, Cetuximab (Erbitux), an mAb approved to treat colon cancer and head and neck cancers, attaches to receptors for epidermal growth factor on cancer cells, thereby slowing or even stopping the cancer from growing. In addition, mAbs can stop new blood vessels from forming, choking off the blood supply to any tumor. Bevacizumab (Avastin) is an mAb that targets vascular endothelial growth factor (VEGF) used by cancer cells to stimulate growth of new blood vessels. This mAb prevents the cancer from growing by slowing down growth of new blood vessels. But cancer cells often find ways to protect themselves against the activities of monoclonal antibodies. For example, soon after the mAb is attached to a cancer cell, the cancer cell “swallows” the mAb so that it cannot trigger the immune response. Or if the mAb blocks effects of a certain ligand, cancer cells activate an alternative pathway that allows them to keep growing. To overcome these and other similar mechanisms, one can arm the mAbs with cell-killing agents, like radioisotopes or toxins turning them effectively into delivery devices. The cancer-fighting agent is delivered right to the spot where it is needed – the mAb is sort of a guided missile and the agent is the warhead. Nuclear medicine has been around almost as long as science has understood nuclear power. On December 7, 1946, 15 months after the US used atomic bombs to end World War II, the Journal of the American Medical Association published a Sam Seidlin article that described a successful treatment of a patient with thyroid cancer metastases using radioiodine (I-131). This is usually considered to be the first piece published on the use of nuclear medicine. Nuclear medicine has since added imaging to its capabilities, and it remains a pillar of oncological science. In its early years, external radiation therapy was more art than science. However, the treatment has evolved significantly. While hitting the right spot with the right dosage in the 1950s contained a significant element of chance, today’s oncologists can be much more precise and effective. However, the basic problem of hitting the target with the right dosage while sparing healthy tissue remains. Internal radiation treatments have overcome some of the precision difficulties, but they still have shortcomings. In the case of brachytherapy, the radioactive material remains in the patient for a long time and cannot target cancer cells far away from the site of radioactive seeds implantation, ie, distant metastases. There is, however, a promising type of targeted treatment known as radioimmunotherapy (RIT). It uses an mAb to deliver radiation to the cancer cell. This is far safer and more efficient than using an external radiation beam that causes significant damage to the healthy tissues it passes through in order to reach cancer cells. Unlike brachytherapy, mAbs are not limited to the region immediately surrounding the radioactive seed and can therefore target distant metastases or even widely spread blood cancers. 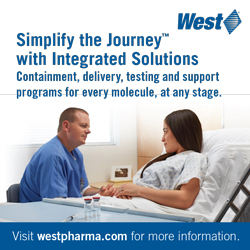 Currently available radioimmunotherapies rely on beta-particle-emitting isotopes like iodine-131 or yttrium-90. These are good at eliminating large tumor burdens, but they are efficient mostly in lymphomas that are very sensitive to radiation. Researchers believe that alpha-particle emitters, such as bismuth-213 or actinium-225 currently being investigated by Actinium Pharmaceuticals, may be more effective and efficient at killing cancerous cells not currently treated with radiation while simultaneously decreasing nonspecific cytotoxic effects. The physics of alpha particles versus beta particles is the secret to their differing radiobiological effects. Beta particles are highly charged electrons with a range of 800 to 10,000 micrometers, and their linear energy transfer (LET) level is around 0.2 to 0.6 mega electron volts per millimeter. Alpha particles are composed of two neutrons and two protons (essentially a helium nucleus). Their range is just 50 to 80 micrometers, but their LET is around 100 mega electron volts per millimeter. In short, while their range is limited to only the targeted cells and those right next to them, they pack a much bigger punch. It can take just one or two alpha particles to kill a target cell. As a result, nonspecific cytoxicity should be lessened when using alpha-emitters compared to beta-emitters. Leukemia comes in four general groups: chronic lymphicytic, chronic myeloid, acute lymphocytic, and acute myeloid leukemia. The latter type is the version under consideration here. The American Cancer Society says “Adult acute myeloid leukemia (AML) is a cancer of the blood and bone marrow. This type of cancer usually gets worse quickly if it is not treated. It is the most common type of acute leukemia in adults. AML is also called acute myelogenous leukemia, acute myeloblastic leukemia, acute granulocytic leukemia, and acute nonlymphocytic leukemia.” It accounts for a relatively small percentage of cancer deaths in the US, just 1.2%. However, as the population ages, this figure is expected to rise. AML is a good-news, bad-news disease. The good news is that standard induction therapy, using cytarabine and an anthracycline, produces complete responses in half to almost three-quarters of cases. 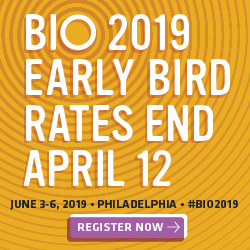 The bad news is that long-term survival is at 20% to 40%; when a patient relapses, salvage chemotherapy results in remission only one in five, possibly one in four times. Unfortunately, the benefits of the standard treatment accrue very little to older patients. For those over 65, the survival rate is only 5% survival rate over 5 years. To improve these odds, researchers have been using RIT to get at the diseased cells while sparing the healthy tissue. Lintuzumab is an mAb that targets CD33, a 67-kDa cell surface glycoprotein that finds expression in myeloid leukemia cells. This makes it an ideal delivery mechanism for radioactive material. When used with beta-emitters like iodine-131 or yttrium-90, Lintuzumab gets the substance to the receptor. However, there is nonspecific cytotoxicity because of the physical properties of the aforementioned beta emitters. Consequently, recent research has turned to alpha-emitters conjugated with Lintuzumab. One promising alpha-emitter so used is bismuth-213 (213Bi). In a single agent Phase I trial, 18 patients were treated with a 5-minute infusion of 213Bi-Lintuzumab two to four times a day. Of the 18 patients, 17 had AML and one had chronic myeloid leukemia. All 17 of the AML patients experienced myelosuppression. The 213Bi-Lintuzumab rapidly localized to the bone marrow, liver, and spleen and was retained. Meanwhile, the kidneys were not visualized. 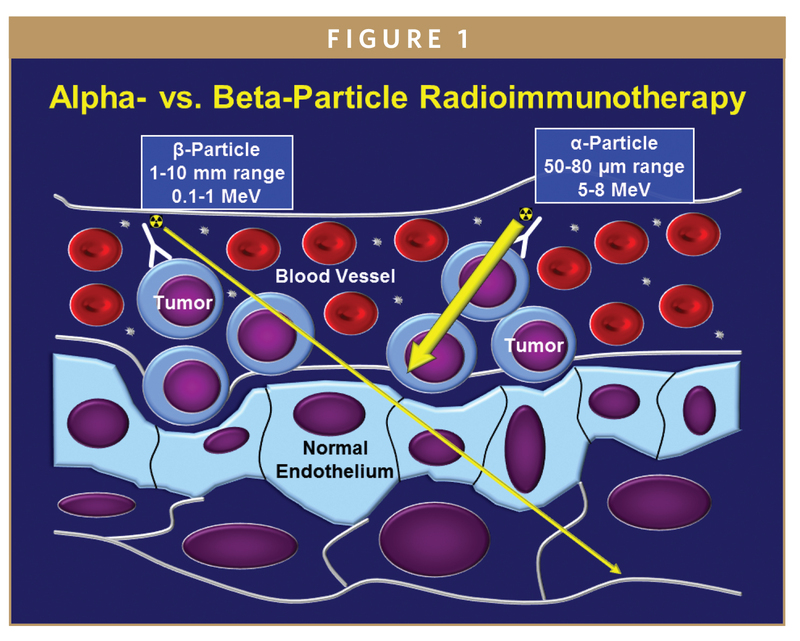 The absorbed dose ratios between those sites and the whole body were 1,000 times greater than with beta-emitters. Fourteen of 15 patients who were evaluable (93%) had reduced circulating blasts and 78% (14 of 18) had reductions in their bone marrow blasts. Relatively low specific activities of the 213Bi-Lintuzumab and large tumor burdens likely accounted for no patient achieving CR. Be that as it may, this was proof of concept in humans for alpha-particle emitters in immunotherapy. Hypothesizing that a reduction in the tumor burden could increase the number of 213Bi atoms delivered to diseased cells and thereby induce remissions, the researchers conducted a Phase I/II study in which 213Bi-Lintuzumab treatment was preceded by a dose of non-remittive cytarabine in 31 patients. Significant marrow blasts reductions were seen across all dosage levels. However, 213Bi isn’t the only alpha emitter, and in fact, there are more useful alpha emitters available. Because of its short half-life (just 45.6 minutes), 213Bi is of limited utility. Animal studies suggested that actinium-225, with a half life of slightly over 10 days, is effective and won’t decay too rapidly for easy handling. Memorial Sloan Kettering Cancer Center (MSKCC) and Actinium Pharmaceuticals are conducting a first-in-man Phase I dose-escalation trial to determine the safety, pharmacology, and biological activity of Actimab-A (Actinium’s name for a mAb conjugated with actinium-225) in AML. Eighteen patients (median age, 64 yrs; range, 45 to 80 years) with relapsed/refractory AML were treated to date. Patients received a single infusion of Actimab-A at doses of 0.5, 1, 2, 3, or 4 microCurie/kg (total dose, 23 to 390 μCi). No acute toxicities were seen. Dose limiting toxicity (DLT) was suppression of the entire bone marrow lasting over 35 days and consequent death due to sepsis. It occurred in one patient treated with 3 microCurie/kg and in both patients receiving 4 microCurie/kg. Toxicities outside of the target organ (bone marrow) were limited to transient grade 2/3 liver function abnormalities. With follow-up from 1 to 24 months (median, 2 months), no evidence of damage to kidneys due to radiation was seen. Peripheral blood blasts (leukemia cells) were eliminated in 10 of 16 evaluable patients who received a full treatment dose. Bone marrow blast reductions of over 33% were seen in 10 of 15 evaluable patients at 4 weeks, including 3 patients with 5% or fewer blasts. After receiving clearance from the FDA, the company started a Phase I/II multi-center AML trial with fractionated doses of Actimab-A. ATNM has engaged six participating trial centers so far (MSKCC, Johns Hopkins Medicine, University of Pennsylvania Health System, Fred Hutchinson Cancer Center, University of Texas MD Andersen Cancer Center and Baylor Sammons Cancer Center). The Phase I (dose escalating) portion of the trial is ongoing. In the current, Phase I/II study, patients are eligible if they have previously untreated newly diagnosed AML according to World Health Organization criteria, are age 60 years or older, and are unfit for or decline intensive chemotherapy, or are 70 years or older with newly diagnosed AML. This target population has had better outcomes than relapsed and refractory patients who have been most of the patients in ATNM’s previous trials. Maximum enrollment in the Phase I portion of the trial is 21 patients in dose escalating cohorts of 3 patients each with the goal of determining the maximum tolerated dose (MTD) for Actimab-A. There is a 6-week interval between dose levels. Once MTD has been determined, it will be used as the dose level for the Phase II portion of the trial which will enroll up to 53 patients. There are 4 planned dose levels in the Phase I portion of the trial. Recently reported, positive interim data from the ongoing Phase I/II trial of Actimab-A in older patients with newly diagnosed AML demonstrated median overall survival (“OS”) of the seven secondary AML patients (with prior myelodysplastic syndrome, or MDS) in the study was 9.1 months, which is a prolongation of life compared to historical norms of typically 2 to 5 months. Older AML patients are already higher risk, with secondary AML patients considered to have the more severe and less treatable form of AML, and the shortest expected survival. In this interim analysis, a total of 9 patients were evaluated thus far with a median age of 76 (range 73-81). All had intermediate or poor risk cytogenetics, and 7 of 9 patients had secondary AML as a result of prior MDS. These 7 secondary AML patients had a median OS of 9.1 months from study entry (range 2.3-24 months). Of these, 2 patients lived longer than 12 months and the longest surviving patient lived greater than 24 months. Overall, for all 9 patients median OS was 5.4 months (range 2.2-24 months). Two dosing levels have been evaluated to date (0.5 or 1.0 μCi/kg/fraction), and the study is ongoing at higher doses until the maximum tolerated dose (“MTD”) is reached. Despite not having yet reached MTD, the Company has observed significant bone marrow blast reductions, another important marker of efficacy. Of the 7 evaluable patients in the overall study, 5 patients (71%) had bone marrow blast reductions with a mean of 61% reduction. Whether there is an even better isotope than Actinium 225 has yet to be seen. However, the evidence clearly suggests that alpha emitters have more targeted effectiveness than beta emitters, as the physics would lead one to believe. Combined with mAbs to deliver them, alpha emitters may well be opening up a new way to attack cancers. 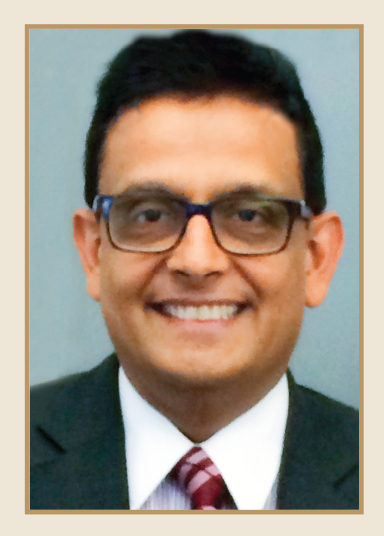 Dr. Kaushik J. Dave is the President & CEO of Actinium Pharmaceuticals. He joined the company from Antares Pharmaceuticals Inc., where he was the Executive Vice President of Product Development. Prior to Antares, he was Vice President Product Development at Palatin Technologies Inc., where he obtained approval of NeutroSpec (a radiopharmaceutical monoclonal antibody product). Prior to Palatin, he was employed at Schering-Plough Inc. and Merck & Co. Inc., responsible for steering the development of several pharmaceutical product development programs. He earned his Pharmacy degree from the University of Bath, UK, and his PhD in Pharmaceutical Chemistry from the University of Kansas. Dr. Dave also earned his MBA from the Wharton School of the University of Pennsylvania. 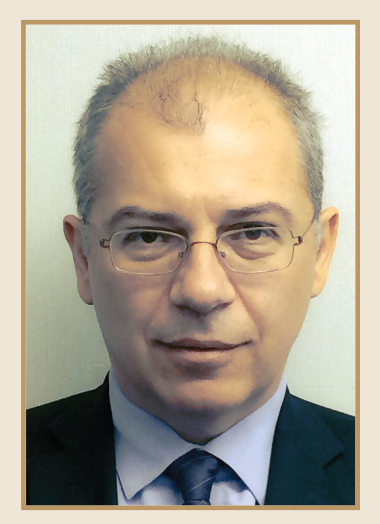 Dr. Dragan Cicic is the COO and CMO of Actinium Pharmaceuticals, Inc. (ATNM). He joined the company in 2005 and previously held the position of the Medical Director with Actinium Pharmaceuticals, Inc. Dr. Cicic joined ATNM from the position of Project Director of QED Technologies Inc., a life sciences strategic consulting and transactional group focused on emerging biotech, pharmaceuticals, and medical devices companies. Prior to joining QED Technologies, Dr. Cicic was an investment banker with SG Cowen Securities. He graduated as a Medical Doctor from the School of Medicine at The Belgrade University, and earned his MBA from Wharton School at The University of Pennsylvania. He was also a Nieman Fellow at Harvard University.